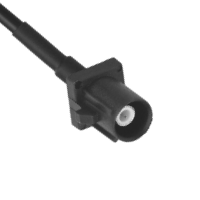 Fakra Jack to Fakra Plug Low Loss RFID Antenna Cable. High performance, flexible, low loss RFID Antenna Cables which deliver maximum signal integrity. With a durable Polyethylene jacket, these RFID cables are suited for indoor and outdoor installations. 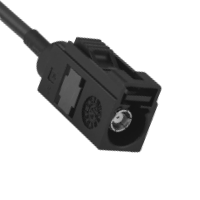 To connect RFID Readers to Antennas, please see the Reader to Antenna Cables section. To extend an existing RFID Antenna Cable, please see the Extension Cables section. You can design a custom RFID Antenna cable using our Build Your Own RFID Antenna Cable tool. Powered by nopCommerce Copyright © 2019 RFID Solutions, Inc. All rights reserved.